For bookings made after Dec 01, 2018 call for rates. Whisk away from London to Paris on board the high-speed Eurostar Train. Spend 3 nights in the Normandy region. Visit Reims, where the WWII treaty signing took place. 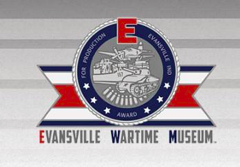 Experience the Memorial Peace Museum that vividly documents the causes and consequences of WWII. Take a journey back in history to Normandy’s landing beaches. Revel in an exclusive dinner inside the Eiffel Tower. Raise a glass during lunch in the Champagne region of France. Experience the cuisine of London’s Borough Market. Day 1: Wednesday, July 31, 2019. Overnight Flight An unforgettable journey of discovery and remembrance awaits you on a sojourn to Northern France on the 75th Anniversary of D-Day.